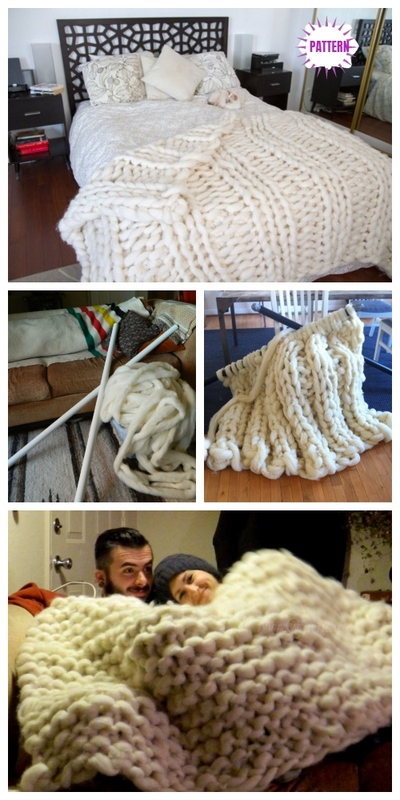 She used wool batting that she laid out in rows to get uniform thickness, then rolled up the tubes so that she could wash-band lightly felt them without causing any damage, then air dry outside, wound it all up and made her gigantic knitting needles from PVC pipe and started her knitting. In her own words, “it took forever”, but “it was worth it”. 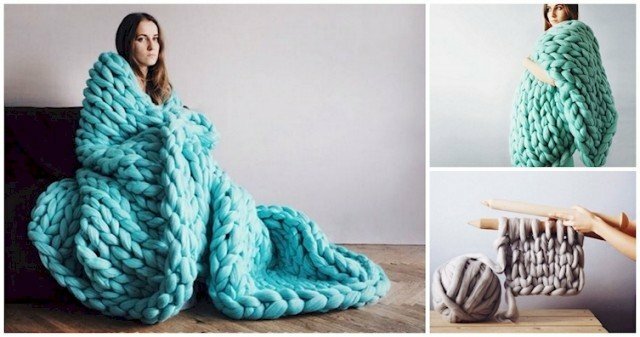 This giganto blanket must be the ultimate cozy, snugly and full of warmth and love. Want to take the adventure and give it a go?